Sunday is my favorite day of the week. I've never been a huge sports fan. But I have been a fan of fashion! 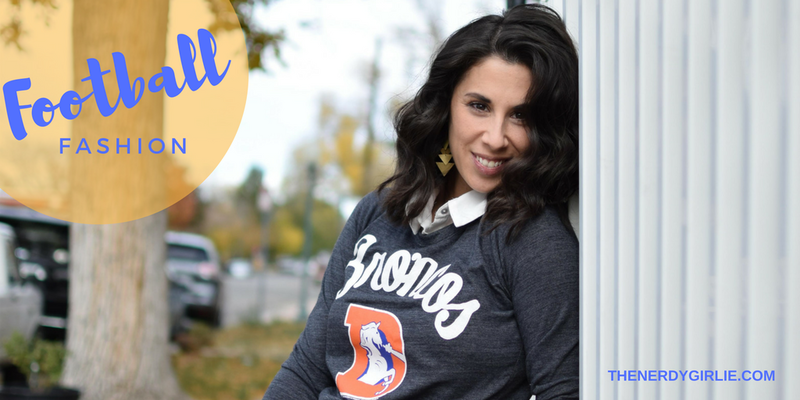 When I moved to Denver, I didn't realize how big the Broncos were. I've been around them my entire life, my dad is a huge fan, and now Ocean Eyes. But it's not until I begin to be invited to football parties that wanted to dress the part! Here are 3 ways to get your football fashion on for the fare weather fan! 1. Off to the stadium. I haven't been to the Broncos stadium yet, but I drive by it everyday on my way to work. 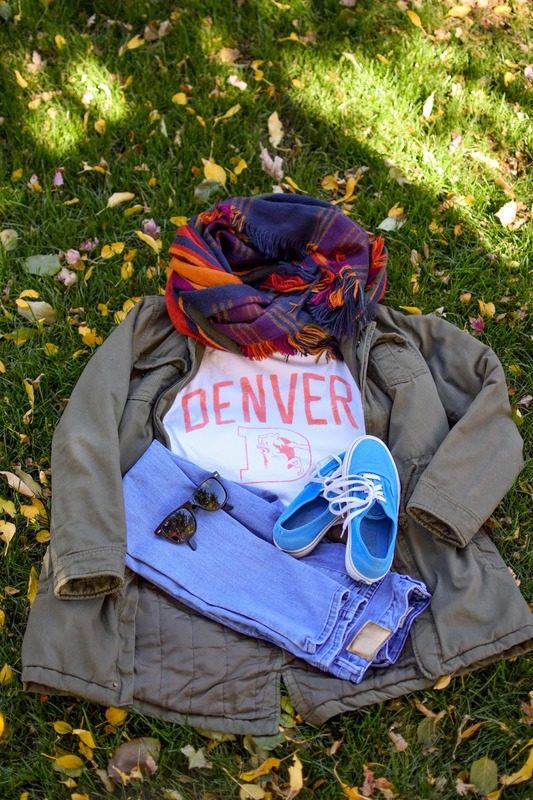 It's open to the elements and with the days getting cooler, layers are the way to go for an outside game. I cannot go any where outside without my sunglasses and the scarf is a great way to add in a bit of your teams color...also comfy sneakers for all that standing and cheering you will do! 2. Party with friends. This is my favorite look and to be honest I was worried about it all week. 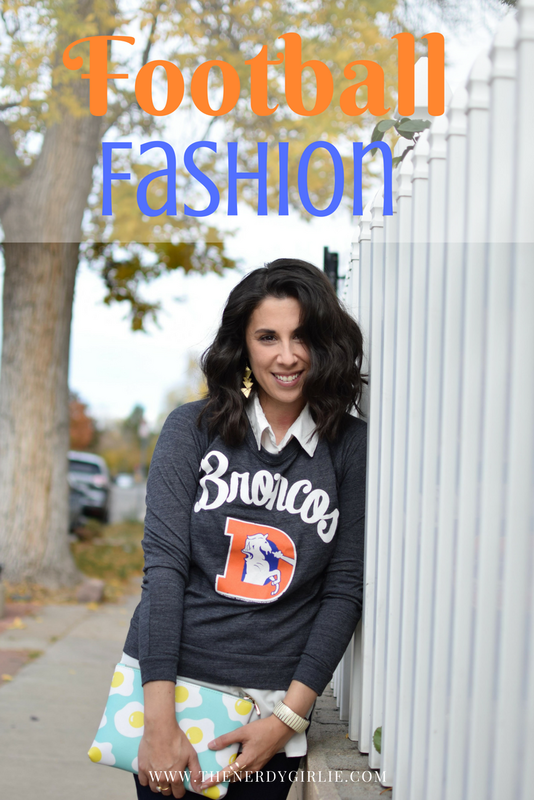 The sweater I purchased was a bit small, but once I put the entire look together, I fell in love. I added a gold bracelet, rings and earrings to super girlie up the look and the sweater ended up being super comfy. This will defiantly be my go to game day look! 3. Cozy at home. Where Ocean Eyes and I watch most of the games. I kept my cozy sweater for this one, added my favorite leggings and cozy house shoes! We are not here to impress at home! A Broncos sunset in Denver on a Sunday evening! 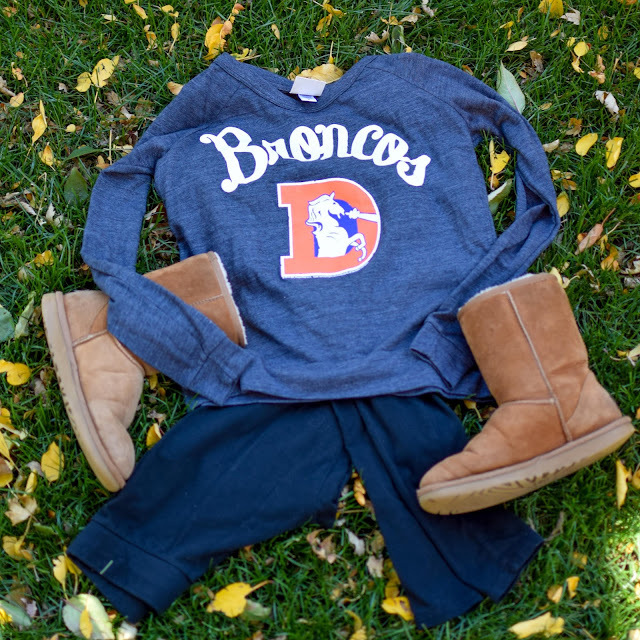 Both of the Broncos tees are from Junk Food Clothing and are super cozy. I love the vintage feel they both have as well. Orange isn't my favorite color so I love being the hidden football fan. 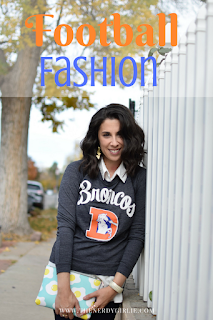 It's all about the fashion, friends and food for me since, unfortunately, the Broncos are not doing so hot this year. Are any of you nerds into football? I know B loves the Ravens! 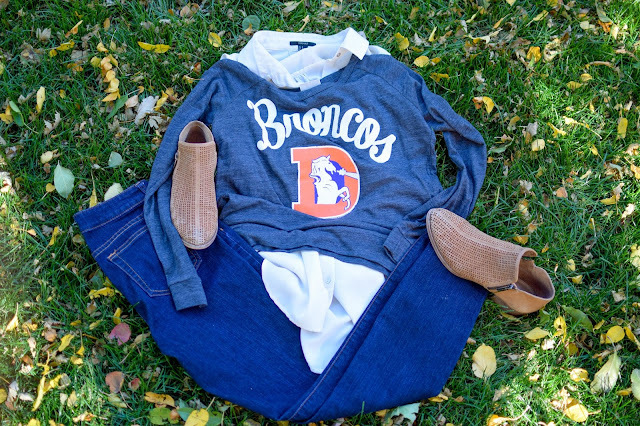 Share your football fashion, favorite teams and fun ways to celebrate in the comments below! Hope everyone has a great week!